I'm in hog heaven! Seriously, just spent the weekend with my daughter. Couldn't be better (well, maybe when Louisa gets here)! I'm tickled pink, too (of course). This is a darling printable. Download it below. The back is even cute! 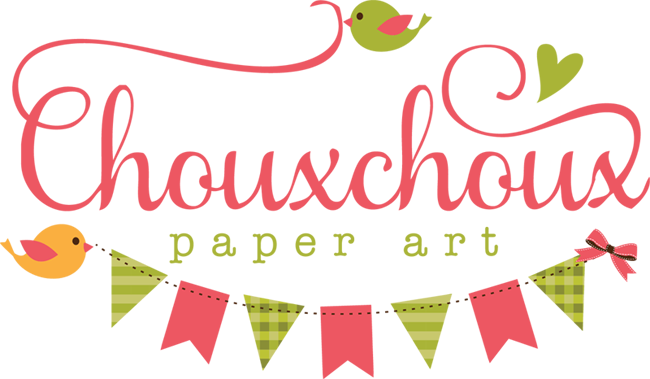 And it's as easy as Print,Cut,Fold. Oh, my! I love this stamp set! Such sweet little pigs and sentiments. Dropbox seems to work differently for different people. When image appears, wait for a moment and a download button will appear in the top right corner. If download button, does not appear, right click on image and save as. Hope you are in Hog Heaven or at least Tickled Pink! Have a fabulous week! Such a supersweet shaker tag!!! It looks great on the card!! 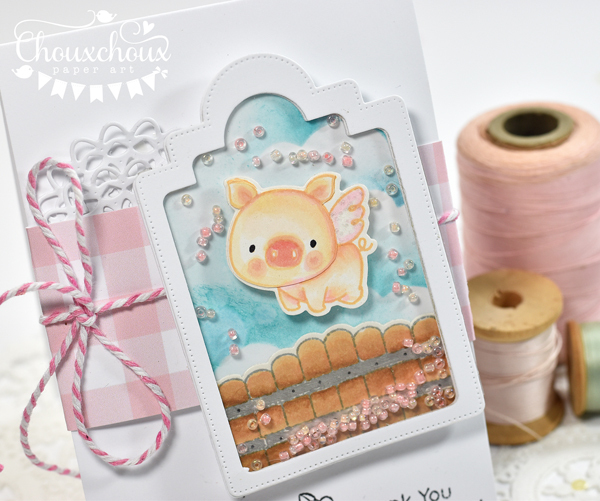 Your clouds are so soft and love how you have extended the fence!The cute piggy with wings is adorable, fabulous work!! 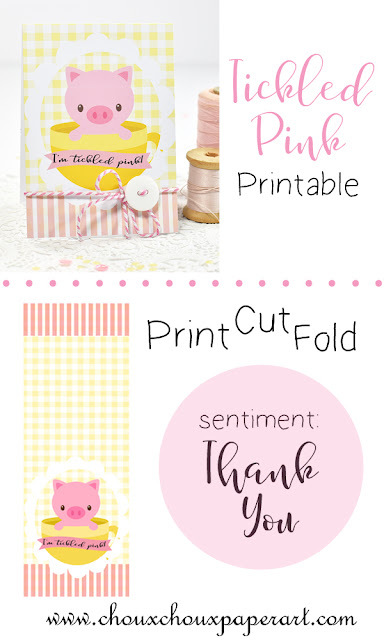 Thanks for the download of the pig in the cup, so useful and sweet!! Too, stinkin' ADORABLE! Love that sweet, little shaker, and the download is perfection! You do make the cutest cards, Lori! Love that pink & white twine & the darling images--wonderful shaker! So great you can spend time with your--baby will be here before you know it! How adorable Lori - what super cute makes. Oh, how adorable! Those pigs are just too CUTE!!! 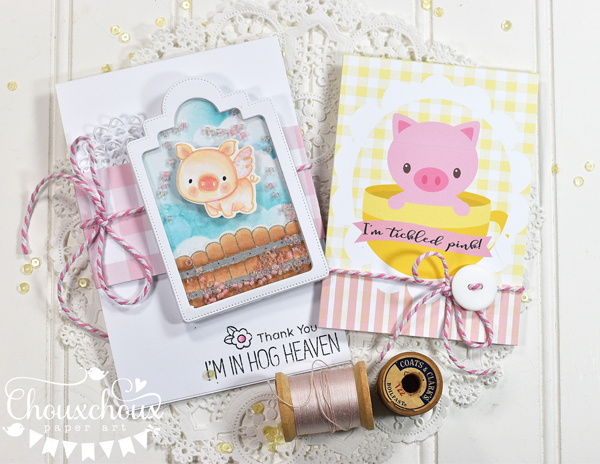 Awww, what sweet little piggies, and such sweet cards! Love your new printable, and love your amazing shaker tag, too! The cloud background and extended fence is adorable. Love the whole watercolor look! OMWORD.... Sooo Stinkin' CUTE! Your cards are adorably sweet! LOVE the piggy shaker, so fun! Oh my so adorable!!! Love both... that shaker... so awesomely sweet!! And that little pig in the teacup... adorable! Love them! Oh, my goodness! I almost have no words for how cute these are! Just so adorable! These are my favorite colors, first of all, so I love that :) And pigs! 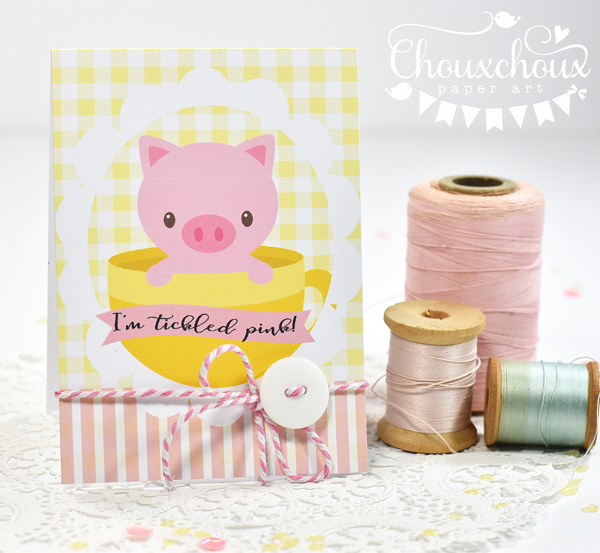 I used to love to draw piggies when I was little :) I just think your cards are so adorable - that shaker! That yellow and pink one, too! Wonderful! Oh my, these are sooo cute Lori!! 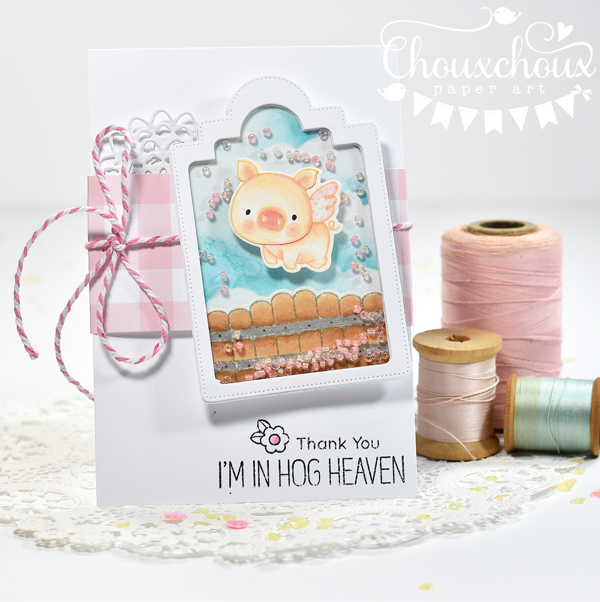 I love both little pigs and your shaker card is adorable, fab shaker shape! 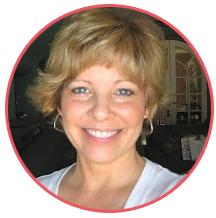 These are so adorable, Lori! I love shaker cards! Thank you for the download - he's precious! You've made it simple for us! YAY for your daughter coming Lori!I hope you had a wonderful time!!! I'm sure you did! These piggy cards are so so cute!!! In the style that's all yours, fabulous! !